Almost ironically entitled Xscape, Michael Jackson’s new posthumous album was released by Epic Records, a division of Sony Music. As I noted in the article entitled When Insiders Expose the Ugly Side of the Entertainment Industry, MJ was becoming increasingly vocal out about the evils of the music industry and was especially disgusted by Sony Music. Here’s a video of a speech he gave in 2002. 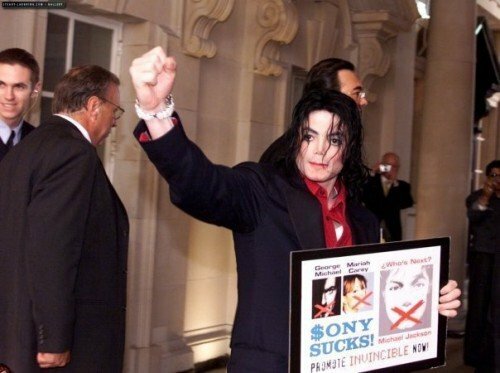 As you’ll see, MJ did not like Sony nor the ex-President of the company Tommy Mottola. He explains how Motolla, Mariah Carey’s ex-husband, acted more like a MK slave handler than a husband … while holding a sign saying “$ony Kills Music”. Fast-forward to today. Sony owns MJ’s image and uses a hologram of him to make him sing and dance at will. 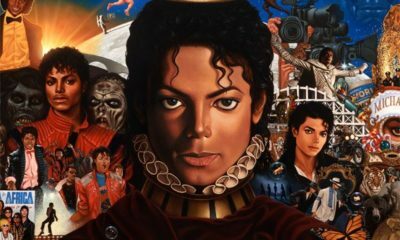 Years after his death, MJ truly cannot “Xscape” exploitation by the music industry. 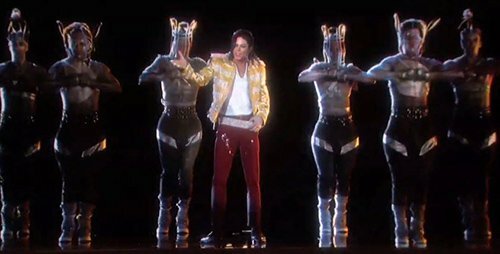 MJ’s hologram performed at the 2014 Billboard awards the song Slave to Rythm, a title that sadly captures his fate with the music business. 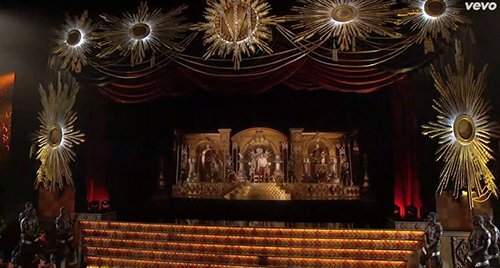 Even worse, the set is full of the symbolism of the occult elite he tried to escape from. The “performance” begins with a group of policemen dressed in riot gear. 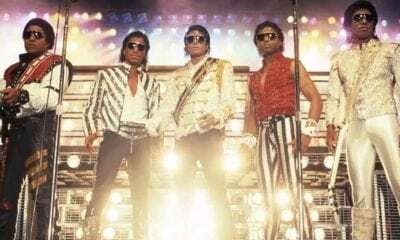 Complete with oppressive helicopters and spotlights, the intro is yet another example of the music business turning the concept of an oppressive police state into something normal and fashionable. It also tells us that this MJ “performance” was brought to you by the occult elite. 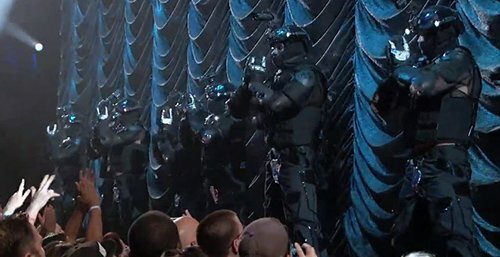 MJ is introduced by a bunch of police dressed in riot gear – a continuation of the police state agenda that prevails in the music business. Then things become extremely Masonic. The entire background behind MJ turns into a checkerboard pattern – as used on the ritualistic floor of Masonic lodges. 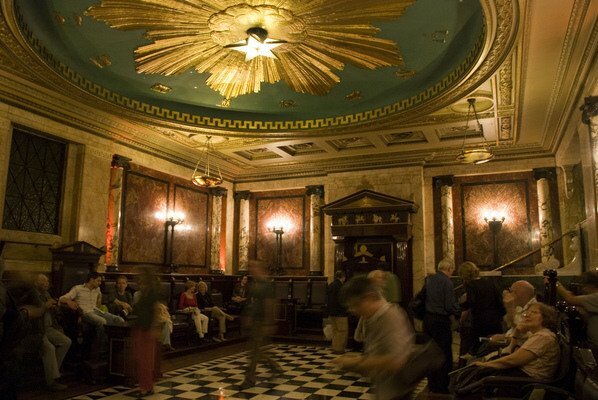 In fact, the entire stage is basically one big Masonic lodge, complete with twin pillars (formed by chess pieces), an arch above them and checkerboard patterns. All of this is surrounded by “blazing stars”. 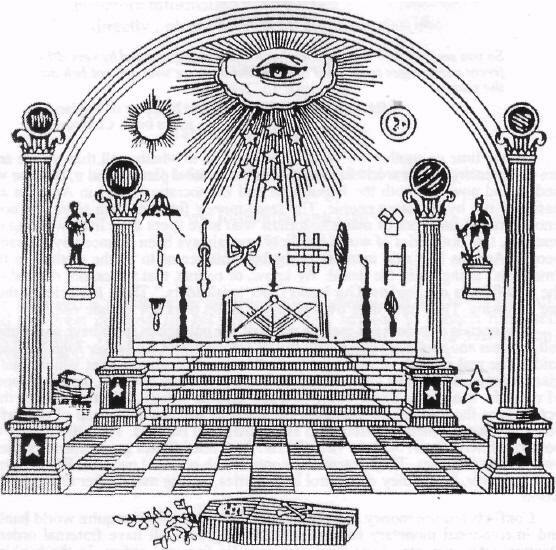 Many of the symbols found in this Masonic image are found in the hologram “performance”. The clone then proceeds to emulate MJ’s signature dance moves – causing the same foul gut feeling as one would get while watching a corpse being animated with puppet strings. Some of MJ’s backup dancers wear cages around their heads, telling viewers that artists in the Illuminati industry are literal “slaves to the rhythm”. 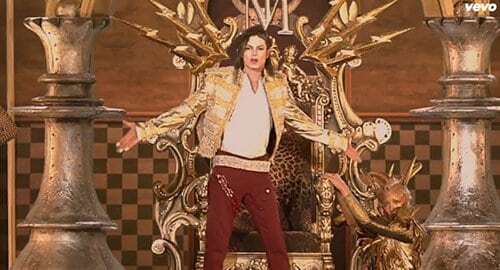 Then fake-MJ sits back down on his throne (of lies). People in the audience start clapping and cheering while probably realizing that there is no human being on the stage to acknowledge these cheers. Some might say that “people miss Michael” and that the hologram performance “brings back his magic”. Maybe so. But the reality is that MJ’s image and legacy is being hijacked by the industry he grew up to hate. His image is now used to promote the Illuminati Agenda and to generate revenues for Sony Music. Would MJ approve of any of this? Maybe the following picture will answer that question. forget the symbolism. This is so disrespectful to MJ and very sad. They ruin his life and then refuse to let him rest in peace. When you find this video on Youtube, you'll see that they actually disabled the comment section. I think to prevent discussion about the content in the video as well as to shut people up who object to the idea of the hologram. Very very telling that they shut the comment section on this video. Very very telling indeed…..
And the opening gave me the chills. I found the riot police opening VERY disturbing. Although, you can find couple of ellen degenerates videos at the top now. I mean after they killed him, when i gotten more familar with Michael’s true life… to me – all Michael’s songs adapted that different kind of vibe – a loss, an abuse, struggle…and seeing the presence of her stupid silly face on his grave really truly deeply insults me. I'm ashamed to say, I enjoyed this at first, it was the next best thing to seeing Michael again. But, the more times I watched it, the more I had a gut feeling that something was wrong, and it made me sad. Thank you for this article, it opened my eyes. I do believe MJ was controlled by the MusiK Industry. But the more i research his death & listen to the "Xscape" Album i also am leaving open the idea that he may have faked his death in order to break free from the Industry. Plenty of pics of what appear to be him in different Countries, especially Europe. I hope he did….if that’s what he had to do. The music industry is so blatantly full of Illuminati/Freemasonry garbage, its absolutely disgusting. They just love to flaunt and push their agenda openly. I cannot understand how anyone would want to go into either the music or movie industry for that matter, unless you want to sell your soul to Satan. Just goes to show, you can "have it all," (materially speaking) but in reality without Jesus, you have NOTHING! Life is but a short time. Eternity is forever! You're next "breath" is NOT guaranteed, put your stock in God, not man, not wealth! Doesn’t look like him at all in the face. Nothing else looks distorted, so why would his face look so different. I don’t think it’s a hologram of Michael Jackson. Well creepy…….songs michael didn't use….still making £££$$$s off him without his participation…all goes well for $ONY. Dispicable basically …. 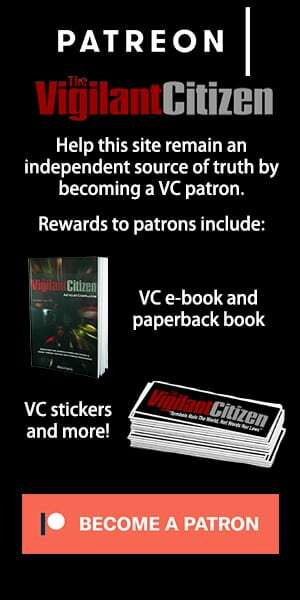 website bonnie vent paranormal san diego for anybody who's wanting to find out more..michael predicted this and more. 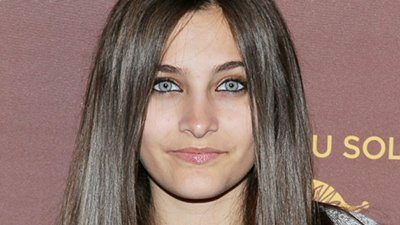 There are sessions with her & micheal contacting her..genuine & his concern for his children are more on his mind than anything else…his children are now obviously being groomed for `showbiz`….the `estate` controls….people think they generously bought them a house…Is with the money they ve been making from the records etc etc….since MJ passed. Do not buy any of this $ony stuff…..
Great stuff as usual…loved the eyes wide shut kubrick film observations…. People are such idiots..did these fools really give a standing ovation to a fake a-s hologram??? Frickin hate people man.. This whole hologram business makes me sick. I hope every single person at fault goes back to where they belong: Hell. I never realized that hotel in babyLon-don had been renamed. I love the advice offered to potential visitors on the tourist website: "They do recommend that you enquire before visiting in case there is an event taking place." Must be quite bewildering to take a drunken wrong turn and end up in the midst of an EWS ritual. The illuminati celebrate those they murder. They are SO twisted!! …You're asserting the illuminati had something to do with his death. There are many theories on Jackson's death, and you're so certain the illuminati's involved? Makes sense. He can't believe so? Are you stupid or what? Interesting. Three more “slaves to their deals” (Frey, Prince, George Michael) all passed away in 2017. That is one of the most evil things I’ve ever seen. Maybe the most. I can’t even say anything else about it except that I would have fun out of that place as fast as a leopard. Anyone notice the pose of the hand bones painted on the gloves of the people wearing riot gear? It is that rock and roll horned goat salute! It's crazy, since I have been coming here for 4 years I can spot even little details like that, its like I am unconsciously guarding my subconscious. 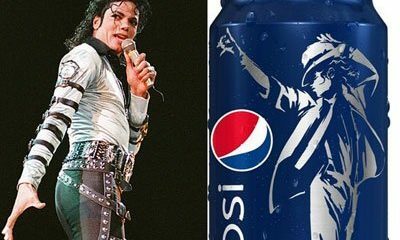 This is not just about using Michael Jackson's image and exploiting him for money. This is much deeper than that. Spiritually speaking this is all out blasphemy and spiritually damning to anyone who does not know the word of God or believe in God. In Bible Jesus says He is the way, the truth, and the life. All who believe in Him have eternal life. What we see is the Illuminati projecting a person being seen as still living, an artificial resurrection. I think Sony company probably knew that MJ hated them and now when he is dead want to show that they are the BOSS and MJ is just a dead slave for them..It's really,really sad to realize that now the moneys are ruling the human race. They're thinking that they're even more powerful than God because they're rich.But this is wrong people,God sees everything and one day he will punish them because they're insulting Michael's soul. So rest in peace Michael you always were and will always be the most amazing man. God will always be with you and will always take care of you. 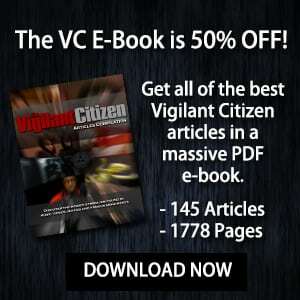 I've been waiting to see what you had to say about this VC…I knew you would not disappoint me!! Thanks!